(also known as “Abu Al-Dhahhak” or “Abu Abdul-Rahman”): A Persian from the descandants of Persian Zoroastrians. 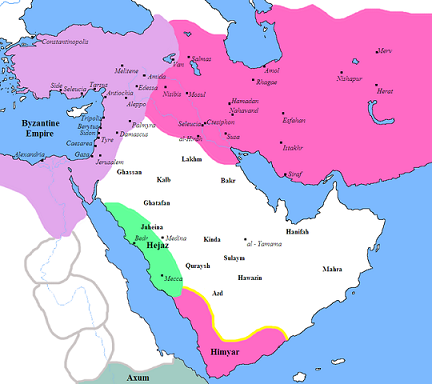 He belonged to the descendants (abna) of Persians that had been sent by Khusraw (Kisra) Anooshiravan to Yemen, conquered it, and drove out the Abyssinians (the south of Yemen was basically occupied and ruled by Persians). He was sent out by the Prophet (peace and blessings be upon him) to assassinate Aswad Ansi, who had claimed prophethood in Yemen. In reference to this, the Prophet was reported as saying, “He was killed by the virtuous man Fayruz b. al-Daylami.” Fayruz died during the caliphate of Othman Ibn ‘Affan, may Allah be pleased with them all. A Persian Sahabi, who was from The foremost, the first of the emigrants, a Badri, one of the first Sahabah. He accepted Islam before Salman Al-Farsi, for Salman accepted Islam in Madinah (did not witness the Makkan period at all). He was a highly respected and valued Muslim (among his fellow Muslims), who died while fighting against the forces of Musaylimah during the Wars of Apostasy. وعن ابن عمر ، قال : كان سالم مولى أبي حذيفة يؤم المهاجرين الذين قدموا من مكة حتى قدم المدينة ؛ لأنه كان أقرأهم . The close friend & servant of the Messenger of Allah صل الله عليه و سلم (he used to be the servant of Umm Salamah). Also from the ‘Abna Fares’. He had many nicknames, one is “Safinah” (the Ship), which was givin to him by the Prophet peace be upon him (he is referred normally by that name in Ahadith). He wast of Persian descent, and was married to a Himyarite. He is the father of the two famous Yemeni-Persian Tabi’is Wahb ibn Munabbih and Hammam ibn Munabbih.He came from Herat (today in Afghanistan), Khorasan in Persia to Yemen. It is likely that he met the Prophet (صل الله عليه و سلم) since he is the father of two early Tabi’is, yet we haven’t found definitive evidence for that in Arabic language. 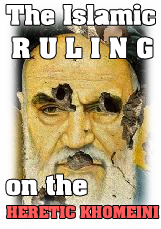 ← Shia Ayatollah: Ali Khamenei (Wali Al-Faqih) has attained infallibility!